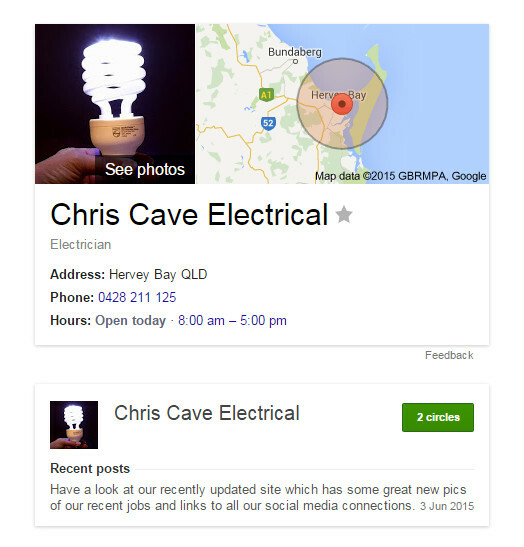 Our Google local listing for Electrician in Hervey Bay finally verified after 10 days, crazy Google. That means you can go visit our Google local business page, follow us and put up some nice reviews. Thanks you all again for coming to the site and show support. Posted on June 19, 2015 by Chris Cave.